Voicy Video Booth is the funniest video camera booth for your iPhone. 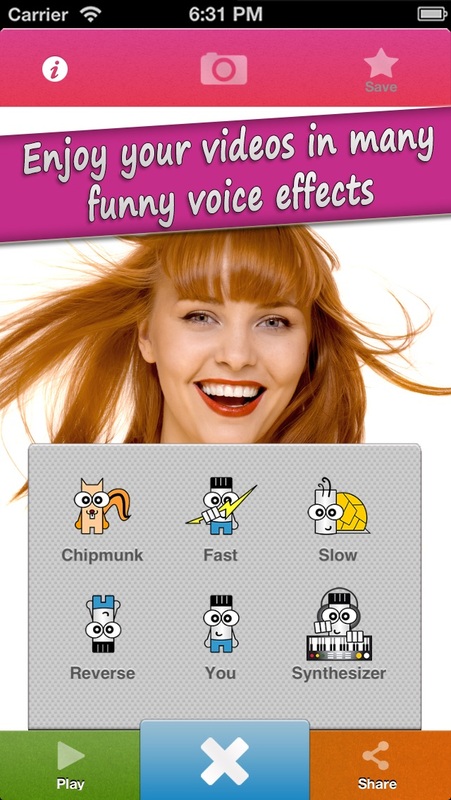 Transform any video into a funny moment instantly! 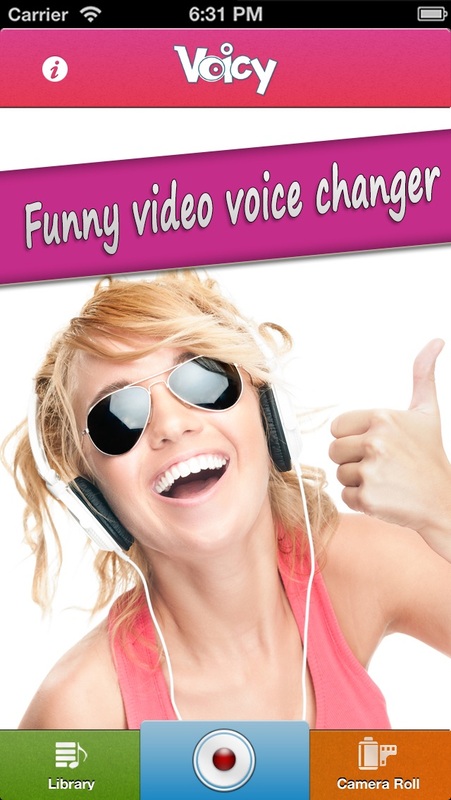 Record yourself, friends, family, even pets and watch the videos with the voices instantly transformed into hilarious clips! Want to use your old videos? No problem, Voicy Video Booth allows you to change the voice of any video from your Camera Roll! You also have your own custom library to save your funny voicy videos to enjoy and change the voice at any time! 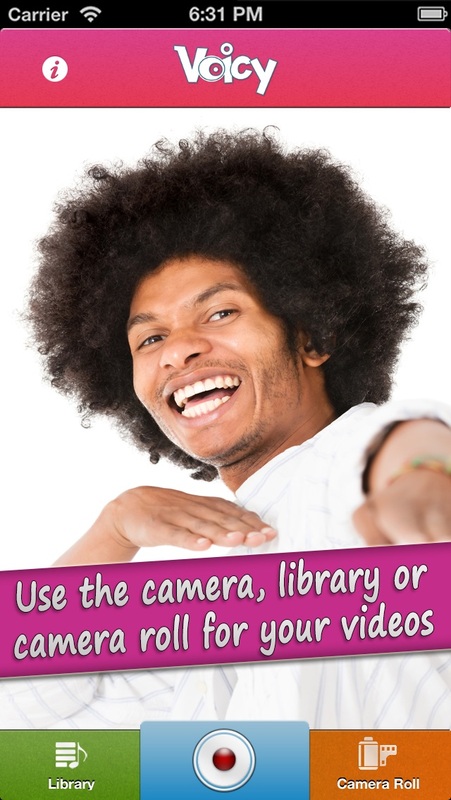 Once you are done with the funny videos, share them to the world via Facebook, YouTube, Email, or MMS! Features *Simple and Fun Design optimized for Retna Display *6 free great funny effects to choose from *15 premium voice effects to upgrade to *Record videos using front or back camera with or without flash *Unlimited Video recording *Use already recorded videos from your Camera Roll *Custom Voicy library to save videos to enjoy later or modify at anytime *Save your videos to your custom Voicy Library or your iPhones camera Roll *Share your funny videos using Instagram, Youtube, Facebook and email, or using YouTube or MMS from your Camera Roll. Not what I expected. Other apps do more. I cannot get it to work. I record but there is no sound on playback! Very cool app!! Lots of fun! It is very interesting, I like some of it, but 1 that I liked dudenlly wasn’t available, then it seemed more, required upgrade, It seems to much switching around. Is a pretty cool app but I don't mean to hate on this app it's just that there's not a lot of features cool features but I like it and I'm not going to delete it I like it it is pretty good I could say amazing yeah amazing!